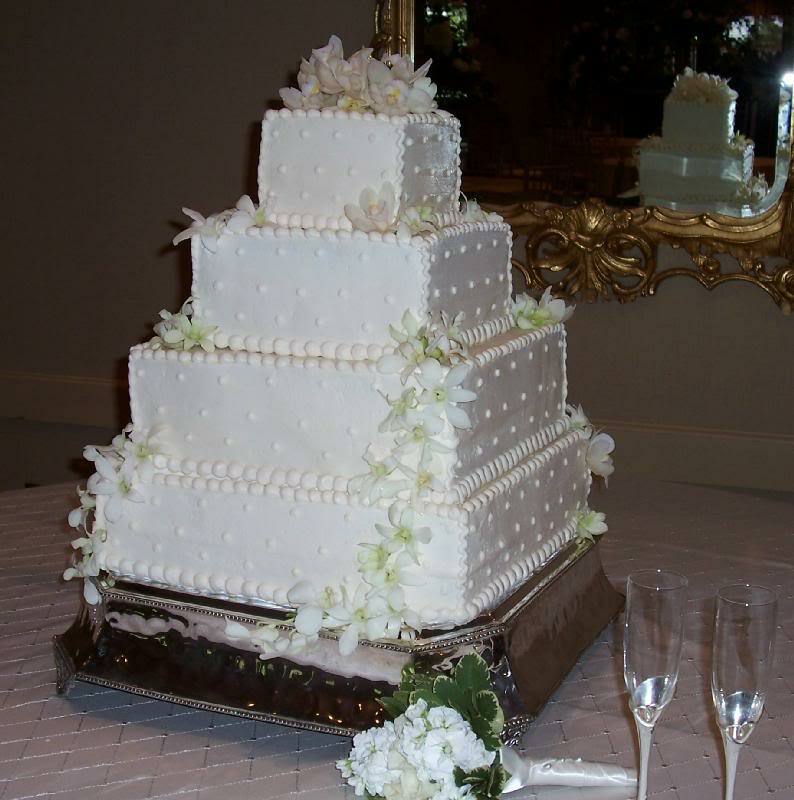 This was a rather large cake, 6″-10″-14″-16″ squares stacked. It looked quite impressive especially with the white orchids trailing down the tiers and placed here and there and on top. Other designs were butter cream piped dots and a bead border.Flavors were yellow butter cake with vanilla/almond butter cream.